Austin Poynter back-to-back winner of the Ams Combi Pool Classic. It’s a very good start of the year for Austin Poynter. After winning twice the Ams Combi Pool Classic at Vans (in 2011 and 2012), he was contacted by Ocean Current just days after the end of the contest and added to the team. 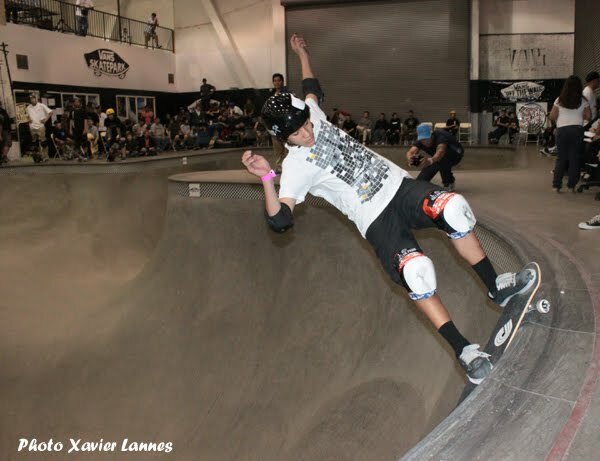 Austin’s natural style, focus and determination set him apart from other skaters his age. His diligent hard work towards being the best (in school and in skating) has put him on the fast track to going pro and skating against the best in the world. Aaron Astorga said about Austin that he is “our first round draft pick and this win from last weekend solidifies that”. Ocean Current Marketing Director Jeff Marshall added: “All of us here at Ocean Current couldn’t be happier with this new addition to our diverse championship team, Austin brings great talent and that spark of youth, this is a very exciting time for all of us”. And that’s not all. We just learned today that Austin Poynter also just got drafted by Monster. Austin is now adding Ocean Current and Monster to the already long list of companies that support him: Oakley, Osiris shoes, Powell Peralta, Bones wheels, GoPro, S-one helmets, 187 pads, and McGill's Skateshop , just to name a few. 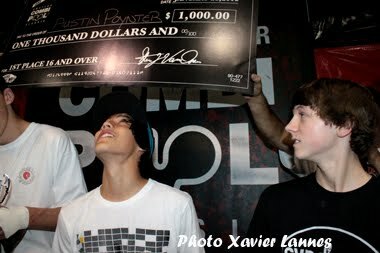 Congrats for the Monster sponsorship Austin Poynter!